Last Friday I had the child/parent struggle that I’ve been hearing about for years. My Miss S woke up Friday morning ready to dress herself. 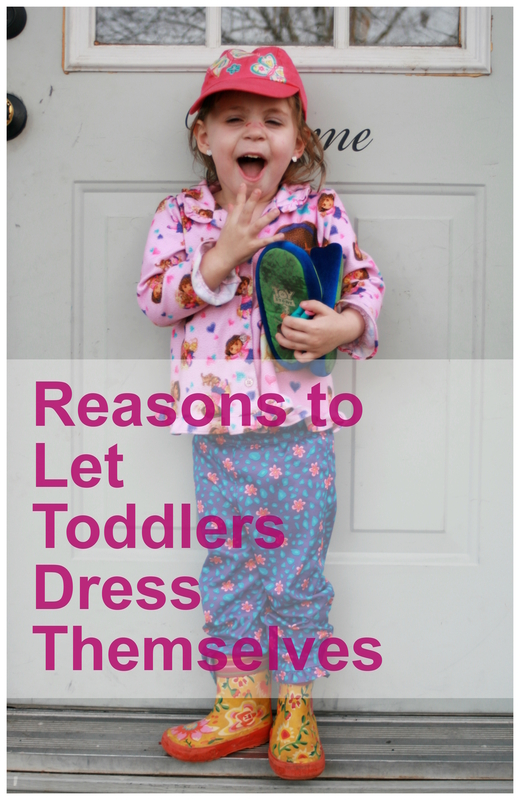 In fact, worse than that, she technically didn’t want to dress herself at all. She wanted to wear her pajamas to school. In her defense, this was not fully her own idea or laziness-driven desire. Periodically her daycare hosts “pajama days”. Everyone so inclined (most staff and children) wear their favorite jammies all day. Typically on such days, I carefully make sure both of my babes have weather-appropriate pajamas clean and nicely accessorized. S usually selects Dora jammies which I pair with cute boutique Dora bows on her carefully-combed piggie-tails. The kids change out of their pajamas from the night after breakfast and arrive to school in clean pajamas for the day. This was sooo not the situation on this last Friday. S had been feeling under the weather on Thursday to the point that Husband had to come home to stay with her while I took an exam. She perked up later in the evening and got a good night’s rest that night. Then when she awoke Friday morning she was her spunky, sweet self and ready for her favorite day: show and tell day. She ate her breakfast happily, found a little Dora toy for show and tell, and I went to gather clothes for her to wear. When I brought her jeans and a cute new shirt, she grinned and said, “I want to wear my jammies!” She was neither defiant nor rude. Simply excited for what seemed like a great idea to her. I looked down at the satin, purple and teal, Dora pajama pants paired with her pink, flannel, Dora pajama top and cringed on the inside. I smiled instead and asked if she was sure she didn’t want to wear her new, pretty outfits. She confirmed that she liked her “tozy (cozy) ‘jamas”. They were cleanish and just as suitable for the weather as what I had selected. How could justify declining her sweet request? Jammie day it is. I tried for a moment to persuade her to wear a pajama set that actually matched but she was very content with what she was already wearing. My next approach was to suggest coordinating shoes or at least cute pig-tails with matching Dora bows. Nope. She wanted her yellow floral rain boots and preferred to wear her hair “long”. I say long in quotes because, bless her heart, the poor kid inherited my thin, straggly, slow-growing locks. In searching for her boots she also came across her pink cap and added that for her finishing touch. Eh, why not? As much as her outfit was not what I would select for her, her decision to choose for herself was in every way something I would choose for her. What I mean to say is, I want my daughter to have the independence to dress herself, make appropriate choices, and to never let her decisions be altered by whatever societal norms are dictating standards of a girl’s beauty. Based on that, here are the reasons I believe it is in my daughter’s best interest to sometimes dress herself or select her own outfits: Creativity. I am a creative person and could be criticized for my fashion sense at times. I certainly understand matching, pairing, and coordinating outside of some expectations. If my daughter wants to play with colors and layers, I don’t believe it is my job to discourage that interest. Confidence. We can all agree that there is far too much pressure placed on girls to look and act in a certain way. I do not want my daughter (children!) to feel that their appearance determines their value. While style and beauty are qualities I value and enjoy, my definitions are not THE definitions of what is stylish or beautiful. I want my daughter (children) to feel free to find their own definitions of beauty and style. I also want them to figure out for themselves if those are even things they will even place much value on. Perhaps they will be intellectuals who find it very silly to even fret over one’s appearance at all. Maybe they will be athletes or manual laborers who value comfort and functionality over aesthetics. And that’s cool too. What I want is for them to walk out the door each morning feeling valued and confident. By not placing too much emphasis on how they look now, I think this will open them up to focus on other things. Of course this is the reason I also never have told my daughter she looks “ugly” or “silly” when she has (twice) cut her own hair. I have scolded the adults who have chimed in with their critiques. My daughter (again, children) is beautiful and amazing no matter what she is wearing or how her hair is styled. End of story. Independence. 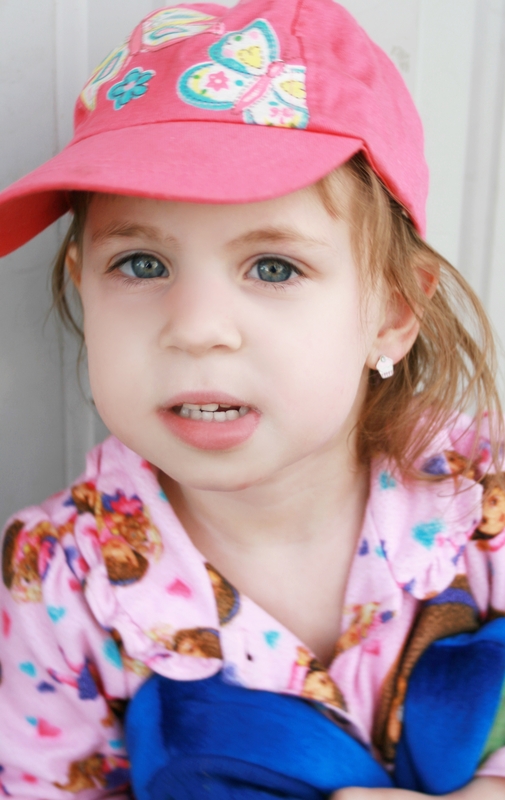 From a very young age, my Miss S has displayed strength and independence that I very much admire. Far be it from me to attempt to break her down in any way. She was climbing out of her crib by 16 months. She sees baby gates as little more than a speed bump. Our refrigerator is fully OURS and she never hesitates to open it up and help herself to an apple at any time. She was fully potty-trained by just after her 2nd birthday. And as I mentioned she has taken it upon herself to give herself a trim twice already. There is no surprise on my end that she is now feeling eager to mostly dress herself. In this situation I really have only two options: let her dress herself or not let her dress herself. If I don’t let her, I am essentially saying whatever she selected is not good enough. Thus saying that she is not good enough. (Back to confidence.) I choose to take the approach that I have taken with the other independence examples I gave. That is, I first use these situations for learning. Why is it not okay to try to help yourself to snacks, climb over gates, or use scissors without permission? “We have to remember safety”, I tell her. The apples may not be washed, the gate may be wobbly, the scissors are very sharp, etc. I feel that it is more empowering to her to understand why I am concerned about some of her choices. In selecting her own clothes, she has to choose things that are appropriate to the weather and the situation. The point is, she is not simply encouraged to wear whatever the hell she wants, whenever she wants, but rather, to develop her own tastes AND to think logically for herself on whether whatever she chooses is her best choice. In the situations where I am less inclined to let her select her outfits (family pictures and such), I explain why it’s important to me for us to have a cohesive, family look, but then allow her to select something else like her underwear, socks or maybe hair bows. 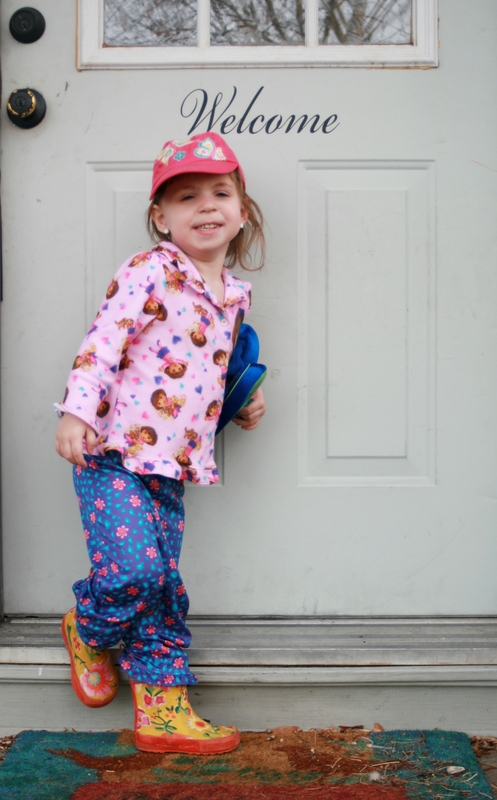 On this day the teaching moment came when she wanted to wear her Toy Story slippers. I told her she may take them for nap time or other inside time but they were not okay for playing outside. I told her that she need to go ahead and keep the rain boots on and carry the slippers. I am not pretending to be an expert on this topic, but parenting is an on-going, learning process, and this is where we are now. Cheers!